In a small saucepan set over high heat, combine the water and sugar and stir to combine. Bring the mixture to a boil and then remove from heat. Add the lemon juice and let cool. 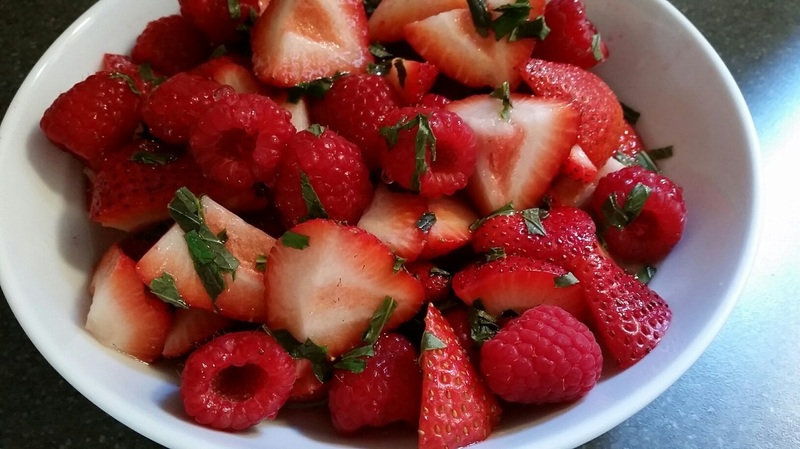 Stir in the mint and pour over the mixed berries. Serve with ice cream, pound cake or enjoy just by themselves!